A teenager was stabbed to death last night while attending a fundraising event for a 16-year-old friend who was killed in a knife attack exactly one year ago. The 18-year-old, who has been named locally as Josh Ribera - also known as music artist Depzman- died after he was attacked outside KCs nightclub in the Selly Oak area of Birmingham shortly before 11pm. He was at the nightclub attending an event in honour of Kyle Sheehan, 16, who was stabbed to death in September last year. The fundraiser was held to raise money for a headstone to go on Kyle's grave. An 18-year-man has been arrested on suspicion of murder for Josh's death after handing himself at a Birmingham police station this morning. A number of online tributes have appeared for Depzman, described as a leading artist on the UK grime scene. Many of his songs have been posted online including one which is a rap tribute to Kyle Sheehan. The video - which has been viewed on YouTube more than 230,000 times - shows Depzman and their friends at Kyle's grave. It also features images from the West Midlands Police press conference of Kyle's family appealing for information. In the video, Depzman raps: "Everytime that I see your face I feel the pain.... just knowing that you are not here does not feel the same. "I miss you bro. I love you bro." 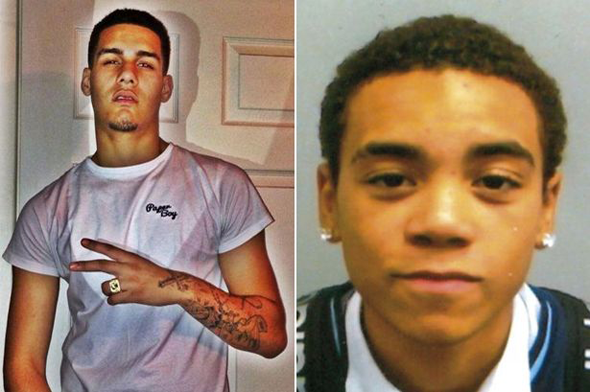 A number of tributes to Depzman have now appeared online. Friend Ash King paid tribute writing: "R.I.P Depzman he was gonna make it 2 the top... holdtight in heaven." Elaine Ingram posted: "Talented and handsome young man, thoughts are with family and friends RIP"
Kojo Halal Akosua added: "He was stabbed at the memorial of his friend who died exactly 1 year today (Kyle Sheehan)"
Speaking to the Birmingham Mail, Matthew Roper, 22, a bartender,said Josh was his idol. He told the Birmingham Mail: "Josh represented Birmingham, he went to the Lord of the Mics which is a rap battle in London, about three four months ago and he won. "He was a legend in Birmingham, all my You Tube is full of his music, he rapped the truth. I think he was from Balsall Heath way. He was a nice guy, he cared about his music, it's such a shame." 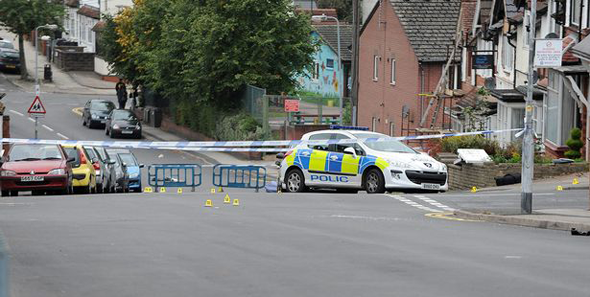 A spokesman for West Midlands Police, which has launched a murder investigation, said: "Police were alerted by the ambulance service just before 11pm to reports of an 18-year-old man who had been stabbed in the area of Coronation Road in Selly Oak. "The motive for the attack remains unclear. 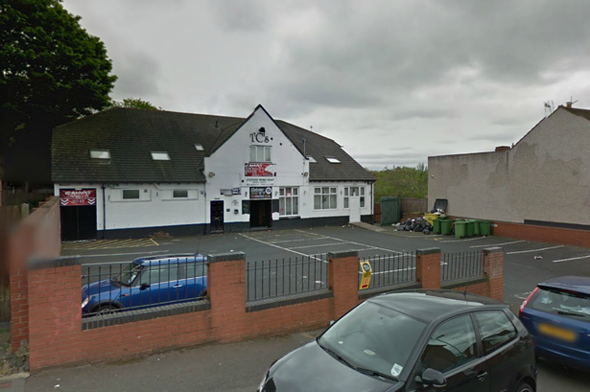 "Initial information suggests that the man may have attended an event at TCs nightclub. "He was taken to hospital for treatment but unfortunately despite the best efforts of medical staff died in the early hours (21 September). "An area of Coronation Road remains cordoned off whilst officers continue to investigate the circumstances that lead to his death. "Officers are keen to hear from anyone who was at TCs last night or who witnessed the stabbing." Speaking at the scene yesterday one local resident, who did not want to be named, spoke of her shock at the incident. She said: "I can't believe it would happen around here. This is a student area, not a bad area, there's no one around at the moment because of the holidays so I have no idea who would be around. "It makes you worried to be out in this part of Birmingham at night. "There's been a couple of young people stabbed this past week in the city, so I'll be taking more care." Kyle Sheehan died after being stabbed in the leg in the Bartley Green area of Birmingham on September 21 last year. Police revealed that between 20 and 30 people were involved in the dispute that led to Kyle's death. He was given first aid by a female passerby before collapsing and died one week later in hospital. His grandmother Gail Lambe, 55, made an appeal at a police press conference. She said: "It has just been horrendous. Kyle went through such a lot from Friday. "His leg was amputated, his kidneys failed, his liver failed. Bless him, he went through so much. "Someone needs to come forward and let us know because we are in limbo now. We can do nothing until somebody, Karl had lots and lots of friends, and somebody needs to speak to the police. Don't let him die in vain." Detective Inspector Gary Plant, from Force CID, said: "We are in the very early stages of our investigations and are appealing to anyone with any information are urged to call police by dialling 101." "The man's family have been informed and a post mortem will be conducted in due course."